What a wonderful Harvest Festival. We were delighted that so many parents and grandparents could come. Thank you also for your Harvest donations, which we will be passing on to the Cobham Food Bank. 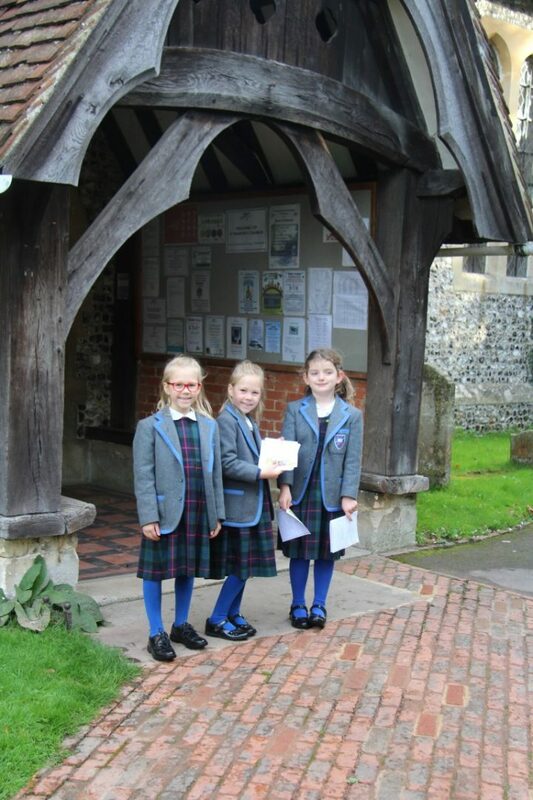 Our Year 2 girls did a sterling job welcoming everyone to the Church and showing them to their seats. The children made us all feel so proud—beautiful behaviour and beautiful singing. Year 1 remained at the Church afterwards to explore the Church as part of their Religious Studies topic. Nonie then prepared us an amazing Harvest lunch of pumpkin soup, roast beef with roasted root vegetables and a special apple and pear crumble cake for pudding.